With 1,400 feet of frontage on county-maintained Cardinal Hill Road in the highly desirable area between the towns of Ingram and Hunt, this ranch for sale in Kerr County, Texas is about two miles east of Hunt and 11 miles west of Kerrville. Cardinal Hill Ranch, on 296± gorgeous acres overlooking the Guadalupe River Valley, is ready for a new owner to create their Texas Hill Country vision. The parcel has great potential for hunting, water retention, and locations for one or more homesites with tremendous views from towering hilltops. 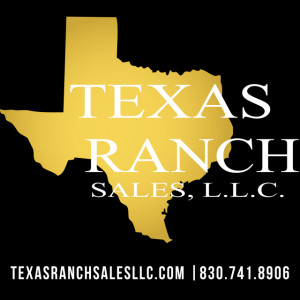 The ranch has caliche roads that lead to excellent hilltop homesite options, many of which have been cleared and prepped to make way for the buyer’s new home or development plans. There is a network of cleared trails and fence lines providing easy access to the entire ranch. The ranch entrance off of Cardinal Hill Road is at 1800’ elevation and the property rises to a plateau at 2041’ elevation. This plateau offers a stunning 360-degree panorama of nearby land and unobstructed views for many miles to the north, east and south, including the beautiful Guadalupe River Valley. On the lower portion of the property, there is great potential for water retention thanks to nearly 900 feet of both sides of Bumble Bee Creek. The selective clearing of Cedar across the ranch has opened up impressive large oak canopies. Native wildlife is found in abundance on Cardinal Hill Ranch, including Whitetail, Axis, turkey, and other exotic species that roam this portion of Kerr County. An agriculture exemption is in place and the seller will convey all owned minerals with the sale. This ranch is perfectly located within easy reach of Hunt, Ingram, and Kerrville, and its convenient access, elevation, and views make it a truly rare find in the Texas Hill Country.